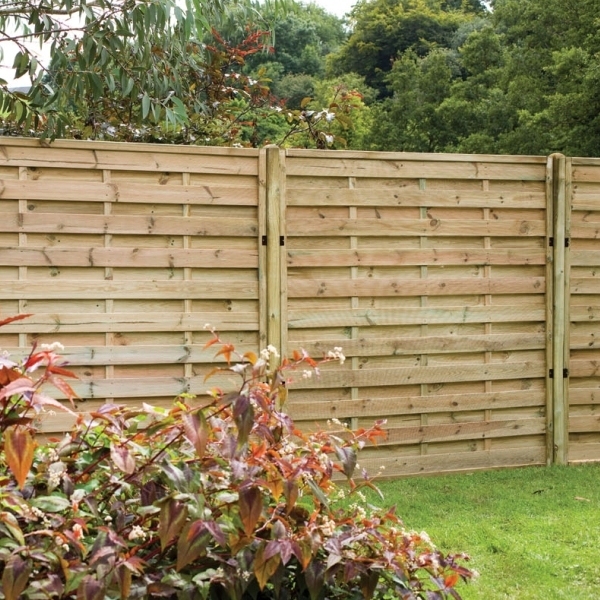 The 5ft tall decorative Europa Plain Fence Panel from Forest is a high specification decorative alternative to standard horizontal board fence panels. Smooth-planed, grooved profile boards are arranged horizontally to either side of mounting battens to form a staggered pattern with creative and elegant lines. 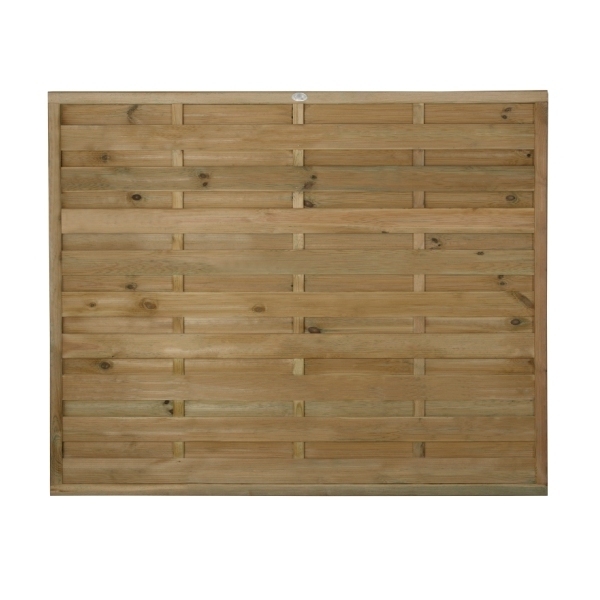 The high quality rebated frame features mortise and tenon joints to ensure this panel is strong and sturdy. This 150cm height version can also be used with a gravel board to attain a full 180cm height or use on its own where a lower level boundary marker is required. 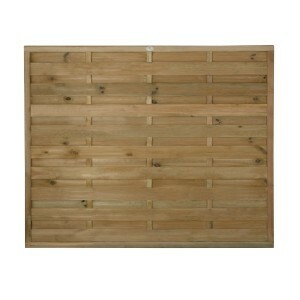 Manufactured in Poland from FSC certified timber from sustainable sources this mixed softwood panel is pressure treated which gives a natural timber colour and provides the fence panel with a 15 year anti-rot guarantee, eliminating the need for annual re-treatment and can also be used without gravel boards.